Have you ever fallen in love with a friend or a best friend? Did you ever had the chance to tell him or her? Or you rather chose your friendship? Here is a story from the past that will surely touch your heart. I was at SM Clark and I was waiting for my friend’s brother. Weeks ago he just added me on Facebook and that was the time that his sister told me some stories about him. As if on queue, he just sent me a private message and I did some little chat with him. He got my number and I found it easy to talk with. I was going to meet him now for the 1st time. He asked me to join him for a movie that he really wanted to watch. I don’t know why I said yes to him when I already watched the movie with my cousin and I had to wait for another 3 hours because he was at work. Maybe because he was my friend’s brother. After 1 hour, 2 hours then 3 hours… he was already standing in front of me handing me our drinks and chips. And he just asked me to wait while he bought the movie tickets. I wonder why he knew it was me, maybe because of my pictures on FB? We actually enjoyed the movie. It seemed as if we’d known each other for so many years. He was asking me about the ending and I just said “secret” because I didn’t want to be a spoiler. After the movie, we went to McDonald’s. And suddenly we were talking as if we were best friends. He started sharing some part of his life which I knew was very hard to share especially with a person that you just met. He told me all his happiness, his pain and his heartaches. Once in a while, I shared some part of my life story too. After that day I knew that he was going to be one of my best friends. It’s not about the length of time we knew each other but the feelings and compatibility that we shared that day. Days passed by, then months… We’ve been very close to each other. I introduced him to my parents and he introduced me to his parents. Every now and then we go out with his workmates and with some of his friends. He is always invited on every occasions to our house. Then one day he told me, “what if I court you”? It took me minutes before I answered him. I just came from a 3 year relationship and enjoying my single life again. But those are not the reasons why I can’t allow him to court me. I have totally moved on with my past but the fact that I hurt him so much haunts me, suddenly I was afraid not for myself but for him. What if I will just hurt him just like what happened to my ex-boyfriend? I can’t take that because I know he’s been through a lot of pain before. I didn’t want to be the reason of his heart aches again. So I decided to stay with the friendship. I told him that I’m happy for what we are right now. And he respects that. I’m glad he did. Nothing has changed. He is still my crazy best friend. After 4 months he told me that he is courting someone. A workmate that loves him so much. I am so happy for him. Because finally he turned his attention to that girl. Though he said he still loves me and I’m the one that he really likes. I told him to concentrate on the girl because if not, he will just hurt her feelings. I felt I loved him. Then weeks passed by, it’s as if the joke was on me. I don’t know what happened to me. I just woke up one day and felt I’m already in love with him. That one day I asked him to jog with me. I just wanted to hug him because I missed him so much and I had never been like that before. When he said goodbye that day, I just wanted to ask him to stay a little longer. Then, realization hit me. 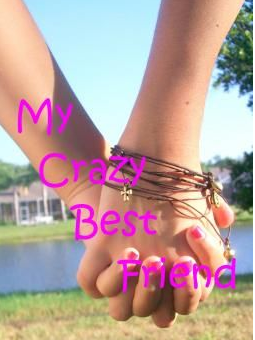 I was now in love with my crazy best friend! I tried to hide it. But whenever he told me about the girl and the status of his courtship, there is this familiar hurt in my heart. That somehow I want to tell him, “Please come back to me” , that I’m so sorry for taking for granted his feelings before. God knows how I regretted that day. If I could just turn back the time! With the help of our common friends I told him what I feel. Wishing that its not too late… but he can’t hurt the feelings of the girl anymore. He told me that during the time he was in pain because I couldn’t love him more than a best friend, that girl was there. And that was the time that he just accepted the fact that we are just friends. One thing is clear to me, PAIN! A painful regret that I protected him in that situation before, but little did I know I caused him pain. That I broke his heart when I made a choice. I decided to avoid him, but where do I start? Everything just reminds me of him. And he told me, “when you hurt me, I did not avoid you, I just stayed, beside you, specially when you needed me.” But our situation now is different. I chose friendship before and he is choosing another girl now. How painful that could be? After 2 days of thinking, crying and reminiscing, I decided to stay with my crazy best friend to bring back the harmonious relationship that we have had, to pretend that nothing happened. I wish I could do it, but just in my 1st week of trying, I already gave up. I took the pain that feel whenever he is with me. Somehow he is different now. He will no longer be the crazy best friend that I had before. He is too serious now. And we can never be more than friends and that hurts me more. I missed him so much, his care, his concern, his effort, his time, the way he says “Good morning Miss Nerd”, “I missed you Miss Nerd”, “I’m home Miss Nerd, thanks for your time”. Oh! how stupid I was not to notice it before. Now I decided to stay away, till the pain goes. Until the old us will be back. I know it’s not easy to do it. But for now that is the only way that I can think of which will be better for both of us. And maybe its crazy but I’m still hoping that someday, when the right time comes, we will find ourselves together with a happy ever after…..